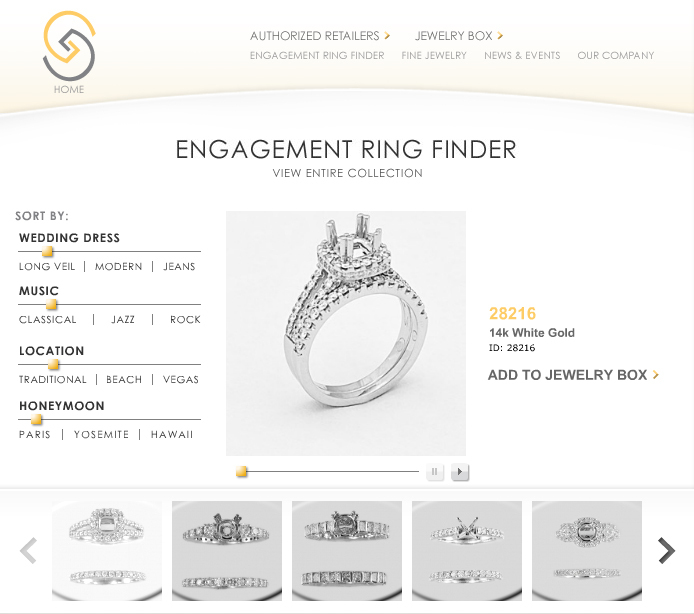 In order to give couples a very personalized ring shopping experience oneline, Gottlieb & Sons has add interactive tools and new social media functions to their website. Using the innovative custom ring finder, you will now be able to quickly and easily focus in on styles from the broad Gottlieb & Sons collection that best matches your personalities and tastes. Utilizing a series of “faders” or slide tools, you are able to pan from wedding-related preference variables such as Wedding Dress style, Music tastes, Wedding location and Honeymoon destination, to help you quickly identify ring styles that reflect your personality. As you adjust the faders, ring suggestions become visible, corresponding to the unique combination of variables selected by you. The site also features recommendation software that will suggest additional like styles you might consider once an initial selection has been made. 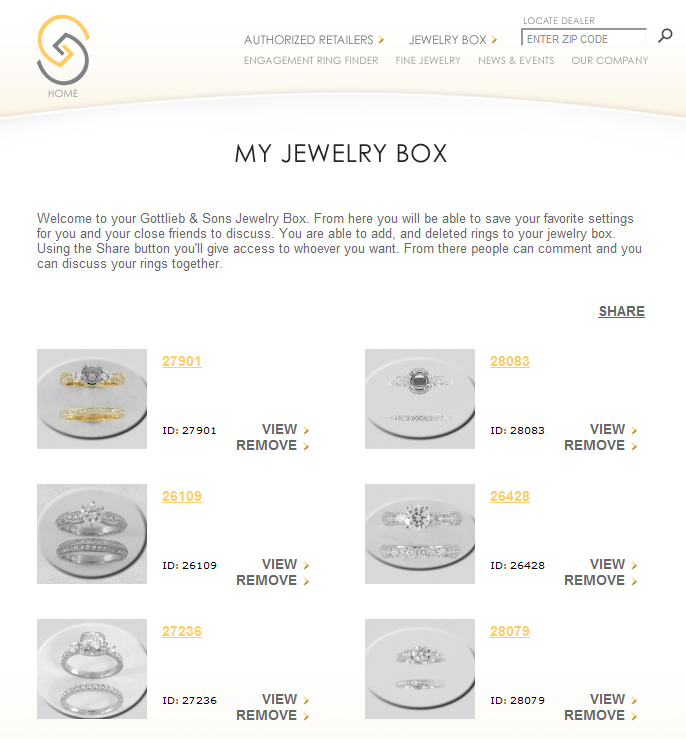 The “Jewelry Box” where you can save favored ring styles selected from the site. The “Jewelry Box” function will also allow you to share your choices with others through a password protected section and enable family and friends to post comments and feedback on their favorites. 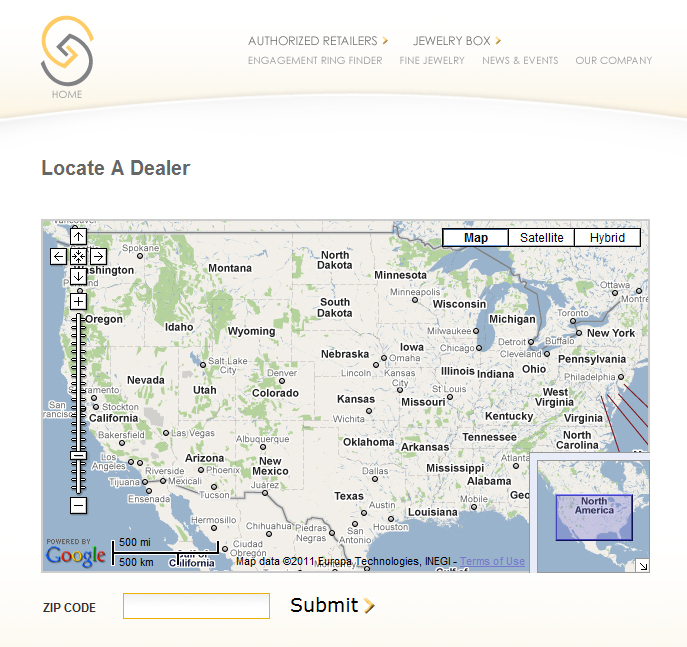 And the retailer locator function, which helps to identify jewelers in your area that carry your custom selection and store's locations via Google maps.